Unilag Post UTME Exam/Test Pattern & Areas Of Concentration You Need To Focus On - Deparadigm! Is a World Exemplary Daily Feeds On General News And Lifestyle. University of Lagos post UTME comprises of 40 questions which cuts across Mathematics, Use of English and General Paper and the time allotted for this examination will be just 30minutes.The examination will definitely be a computer based test (CBT). Before I massacre the subjects aforementioned, let me quickly remind you that aside KNOWLEDGE, Unilag also tests for CAPS (Calmness, Accuracy, Precision and Speed) in her POST UME. So as you seek genuine knowledge in Mathematics, Use of English and General Paper that will enable you do well, work on your CAPS too. Now let’s see the topics/areas you need profound knowledge in with regards the respective subjects listed above. 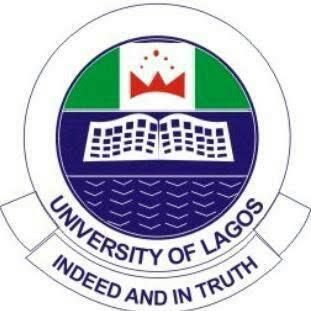 Get the real Unilag post utme past questions and answers/Likely Questions & answers. We already have them in place. You can click How To Get Unilag Post UTME Past Questions And answers/likely questions & answers to order for yours now. Mathematics is expected to be 15 questions of 40 but these are the following topics you need to study so as to do well in mathematics as questions come randomly from them. Yes, those are the topics you should study for just 15 mathematics questions. Use of English is expected to be 15 questions of 40 but these are the following topics you need to study so as to do well in Use of English as questions come randomly from them. Get the real Unilag post utme past questions and answers/Likely Questions & answers . We already have them in place.You can click How To Get Unilag Post UTME Past Questions And answers/likely questions & answers to order for yours now. The popular mistake aspirants make is that they narrow general paper to just current affairs which is absolutely wrong. Below are the few aspect you should focus on as General paper are expected to be just 10 questions to make a total of 40. You can never be over-prepared for the general paper part!!! All these along with ‘CAPS’ guarantees your admission. Get the real Unilag post utme past questions and answers/Likely Questions & answers. You can click How To Get Unilag Post UTME Past Questions And answers/likely questions & answers to order for yours now.